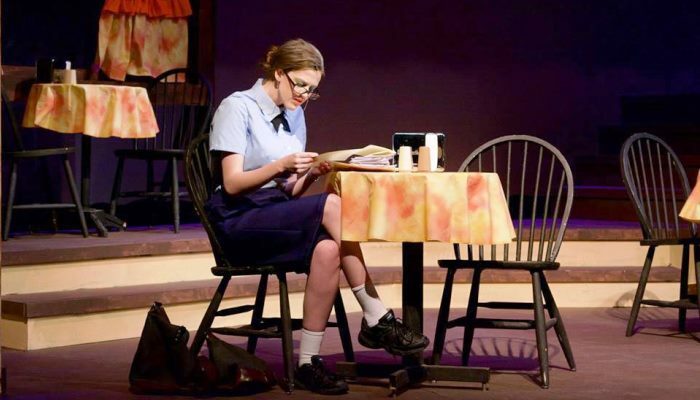 When you pursue a theatre major or minor at Truman, you work side-by-side with seasoned professionals, learning by doing — students perform, design, direct, choreograph, construct, circuit, paint, sew, write plays, research and more. 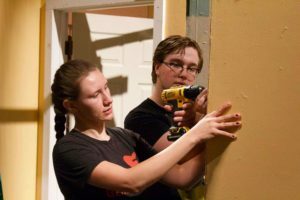 Whether your passion is acting under the lights or tech work behind the scenes, you can learn it all by working on mainstage productions. 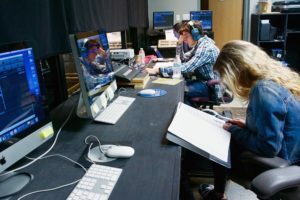 Theatre productions are held in the Severns Theatre, which also serves as a classroom laboratory, and the more intimate Black Box Theatre, which is used for many of the student-produced productions. Pursue your own ideas through our student-directed (and often student-written) lab shows and one-act plays. Gain valuable experience performing, building scenery, sewing costumes and managing all the fine details of a theatre production. 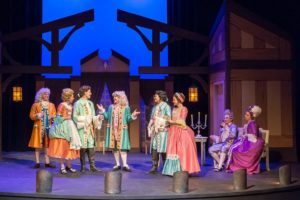 Along with studio and practical courses in acting, design, tech, and directing, you take courses that trace the literature and history of western theatre from the ancient Greeks to America’s postmodern avant-garde. You come away with a clear sense of how theatre reflects its time and place, why theatre is central to an understanding of a given culture or period, and the varied effects of theatre on a community. 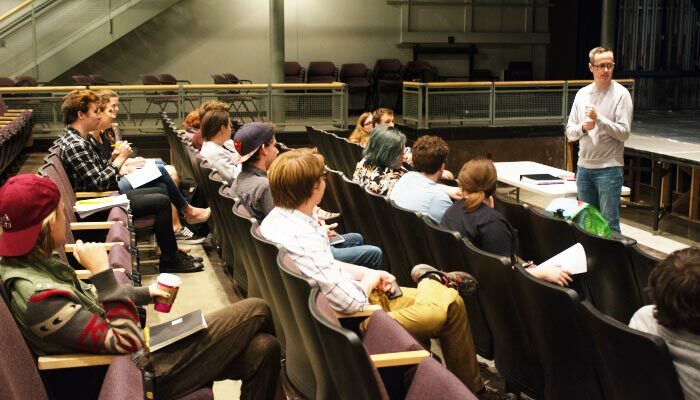 Our intimate program ensures you’ll be working one-on-one with full-time professors who have a broad range of professional and experience from theaters across the country and terminal degrees in their professions. 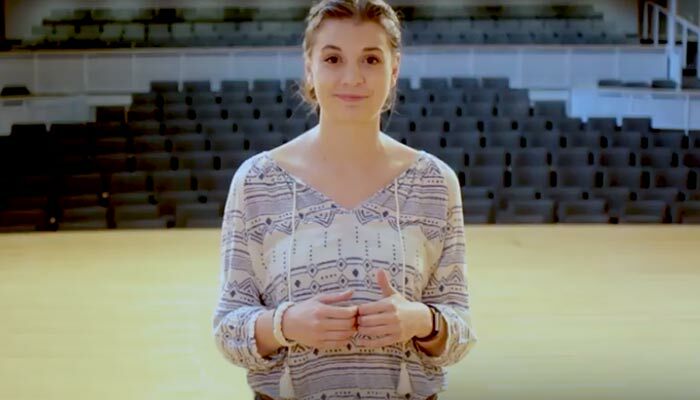 Gain work experience ranging from internships in scenery, costuming and sound, to publicity and promotions, to technical internships in Baldwin Auditorium serving Truman’s Kohlenberg Lyceum Series. 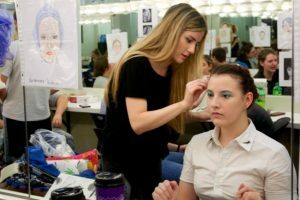 By graduation, your portfolio will include assessment exams, samples of your best writings for a variety of courses, video records of your acting performances, and sketches and working drafts for costume, stage and lighting designs — everything you need to give you an edge when starting your career. 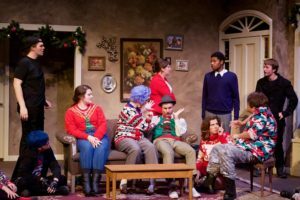 In addition to the fields of acting, technical theatre and theatre management, Truman theatre graduates have successfully pursued careers in communication, law, marketing, construction, sales, and small-business management.